For some time I’ve been meaning to highlight the work of M. Zuhdi Jasser and the American Islamic Forum for Democracy. 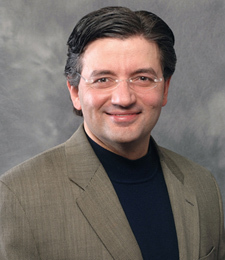 As their website describes, “AIFD was formed as an unmistakable expression of American liberty and freedom in an attempt to take back the faith of Islam from the demagoguery of the Islamo-fascists.” Dr. Jasser is a Wisconsin-born Muslim of Syrian extraction, and a practicing physician in Arizona. According to John Brennan, head of the White House’s homeland security office, the war on terrorism is over. From now on, the administration will never use terms like “jihadists” and “global war” because doing so, as Mr. Brennan said, “risks giving these murderers the religious legitimacy they desperately seek but in no way deserve.” He insisted that the U.S. is at “war with al Qaeda” (“U.S. no longer at war with ‘terrorism’,” Page 1, Friday). Could we be more blind? Acts of terror are rooted in the aspirations of Islamists to create an Islamic state and impose their version of Shariah law. As a devout Muslim who, like many others across the world, is dedicated to fighting Islamism and its radical offshoots, I believe there is nothing more dangerous to our security in the long term than the leader of the free world remaining in categorical denial about the essence of this ever-so-real contest of ideas. I prefer to believe that an Islamic Reformation — parallel to the wrenching changes Christianity experienced a few centuries ago — can rescue the world’s second-largest religion from its worst instincts. Brave Muslims like Dr. Jasser are trying to lead the way. This entry was posted in Uncategorized and tagged Islam, Islamic Fascism, Jasser, Muslim Heroes by Kirk Petersen. Bookmark the permalink. The ones who speak out get shot or put in jail or thrown out of their countries.